Uses of water include agricultural, industrial, household, recreational and environmental activities. Water quality parameters are determined by the intended use: Different water uses raise different concerns and different standards are considered. a Joint Structure (cross-border Focal Point) that will act as a one-stop-shop for providing integrated water quality assessment related services to Water Users and interested stakeholders of the two countries. The project has duration 28 months (30/03/2011 – 31/7/2013) and total budget 1.126.254,90€. 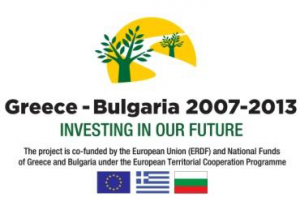 The project is co-financed by 85% by the European Regional Development Fund (ERDF).